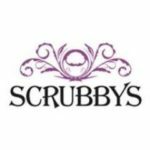 Scrubbys was founded by husband and wife partnership John & Claire who began retailing organic, fine and traditional foods in 2007 with the intention of using this as market research to establish a range of best selling quality products. Vegetable crisps were introduced to our range and proved incredibly popular. We had one big concern though – these crisps were fried using traditional methods, which means they have very high fat levels. It was this discovery that started us on our journey to produce a healthier lower fat vegetable crisp. Like a lot of parents we are very conscious about what our children eat and we start their lives with the most nutritious and beneficial foods, such as organic milk, organic jars of baby food, organic snacks etc. However once the child reaches the toddler stage the variety and choice of such products starts to dwindle, it is at this time the choice becomes raw products e.g. fruit & veg or unhealthy snack foods. As a nation we are increasingly becoming more and more health aware and concerned about the contents of our food and look for products with things such as less fat and reduced salt. When it came to vegetable crisps this was no mean feat. 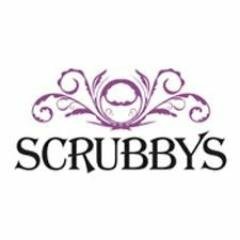 So we trawled far and wide to find a way to bring to market what we believe to be the healthiest tastiest vegetable crisp you can buy. We explored all the options in order to find the perfect balance between flavour and health and eventually arrived at what you get in the packet today. Lightly seasoned and cooked using high oleic oil we have created a great crisp with at least 30% less fat, and up to 18% less calories.